Every day 954,000 workers, including engineers, technicians and machinists, head to plastics facilities around the world to produce products that play major roles in our modern life, from helping to preserve food to serving as the basis for medical devices that save lives. These highly skilled workers, who serve one of the U.S.’s largest manufacturing sectors, are trained by employers who keep their employees’ safety top of mind. What role does the Plastics Industry Association (PLASTICS) have in addressing worker health and safety? PLASTICS has a Worker Health and Safety Task Group of the EHS+ Committee, a group in which all members are invited to participate. Meetings are held three times a year, with interim conference calls as needed. Most plastics industry facilities are in states regulated by the federal Occupational Safety and Health Administration (OSHA); others are under OSHA-approved State Plans administered by agencies in those states. 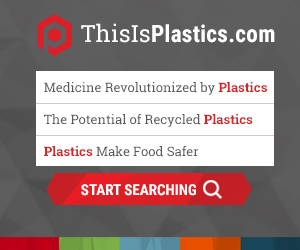 PLASTICS monitors and responds to their initiatives, engaging with regulatory agencies and participating in the rulemaking process to meet the needs of our members. Plastics industry employees around the world are also impacted by countries’ adoption of the Globally Harmonized System of Classification and Labeling of Chemicals (GHS) and its revisions; e.g., understanding related changes to product labels and Safety Data Sheets (SDSs). In addition, OSHA has a memorandum of understanding with a branch within the Department of Health of Canada (HECS), allowing OSHA and HECS to collaborate on their respective activities regarding the GHS, which includes opportunities for industry input. PLASTICS is engaged with the National Fire Protection Association (NFPA) on standards addressing the fundamentals of combustible dust and preventing incidents from activities with combustible particulate solids. From members-only communications to webinars open to the industry, PLASTICS provides resources to assist with understanding regulations and facilitate sharing company programs and practices with the invaluable experience and expertise of workers in the industry. PLASTICS is also revising training materials for plastics injection, extrusion and thermoforming to aid in identifying and eliminating hazards to help employers protect employees. Specifically, these materials focus on machine guarding – safeguarding against moving machine parts that have the potential to cause workplace injuries – and lockout/tagout – safeguarding against the release of hazardous energy while employees perform servicing and maintenance activities. These materials were developed under an alliance between PLASTICS and OSHA to promote a safe and healthy work environment in plastics facilities. PLASTICS conducts an annual Occupational Safety and Health Survey to collect statistical information on occupational illnesses and injuries in the plastics industry and to recognize those member work sites that have achieved a level of safety performance above the industry average. We invite our members to participate in the Safety Statistics and Awards program.